Air pollution in 33 of America's most visited national parks is on par with air quality in the nation's 20 largest cities, according to a new study published Wednesday in Science Advances. This is having a dampening effect on visitor numbers, the study found. Why it matters: The researchers found that from 1990 to 2014, ozone levels in 33 of the most visited national parks was "statistically indistinguishable" from levels in the country's 20 largest metropolitan areas. Ground-level ozone is a key component of smog and is a health hazard. The big picture: The National Park Service is charged with protecting the lands under their management while making them accessible and safe for the public. Each national park faces problems as a result of climate change, invasive species, crowding and poor infrastructure; this report highlighting poor air quality raises one more problem for them to consider. What they found: According to the study, since 1990, the number of days these national parks have had unhealthy ozone concentrations have not declined as dramatically as they have in cities, despite the implementation of air pollution regulations to protect public lands. Some of the parks included in the study are Acadia in Maine, Great Smoky Mountains in Tennessee and Yellowstone in Wyoming. About 80 million visitors were exposed to potentially harmful concentrations of ozone in these parks between 1990 and 2014. Margaret Walls, a senior researcher in Resources for the Future's land, water and nature program, told Axios that may mean that "things have gotten better in cities and maybe not so much better in national parks." Walls was not involved in the new study. However, there are far more air quality monitors in urban areas that there are in national parks and forests. Because the study used monitors and not satellite data, Walls suggested further research is needed for an even clearer picture of air pollution across a park. Pollution as a deterrent: The study found that air pollution in these national parks seems to deter visitors. It states that visitors are most responsive to Air Quaity Index warnings, and a 1 part per billion increase in maximum ozone levels met with a 2% visitation reduction in summer and a 1.5% visitation reduction in the fall. Cornell economics professor and study co-author Ivan Rudik told Axios that this suggests that "[p]eople value having better air quality in parks... there was a clear negative relationship between ozone and visitation." The danger: Moderate or severe ozone concentrations are harmful to human health, and exposure to those elevated levels impacts children, the elderly, and all those outside exercising, as many are during park visits. 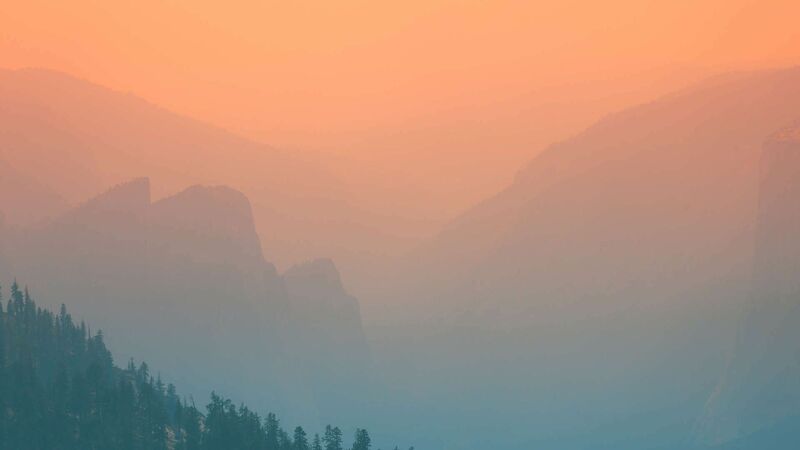 Sequoia and Kings Canyon National Park in California is one of the worst parks for air quality, according to Rudik. The park has a Twitter account that publishes daily updates on air quality; many days it reports unhealthy ozone levels. What's next: Rudik said that the EPA's 1999 Regional Haze Rule, which sought to improve visibility in parks, has significantly improved air quality. Until its implementation, air quality worsened through the 1990s. "Ultimately, you're going to have to reduce emissions of pollutants that end up in parks," Rudik said. That could include reductions in personal vehicle use or the removal of fossil fuel power plants that are upwind of national parks.